Our very own Katie got married last weekend! Katie is our shipping manager here at My Little Jules. Anyone who knows her also knows Katie's favorite color - PINK! 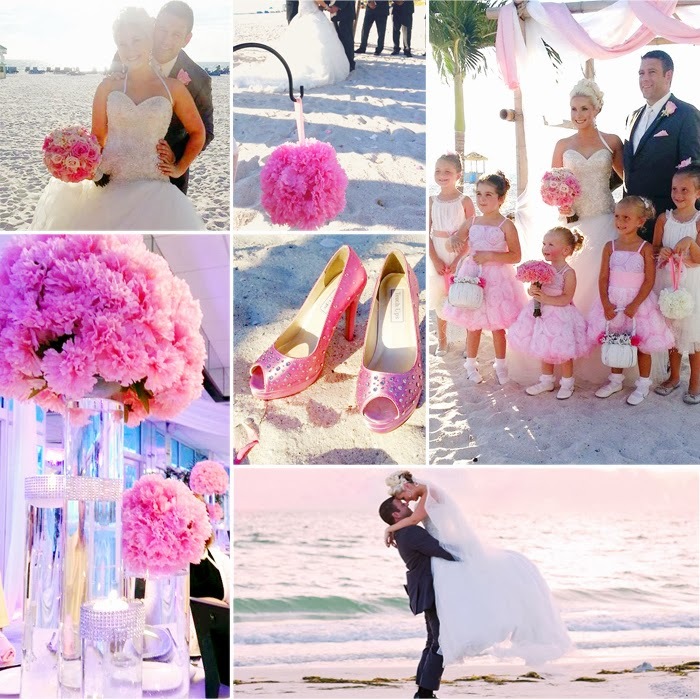 So, when time came to planning her wedding, Katie chose pink as her wedding color. 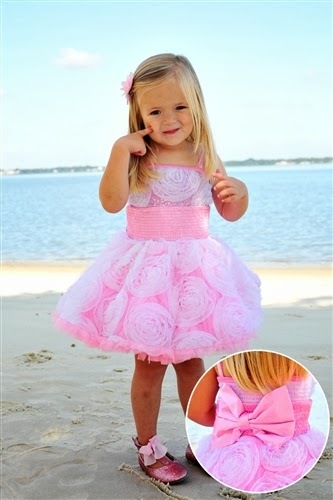 And what is a better brand for pink flower girl dresses than Ooh La La couture? Katie's younger flower girls wore beautiful Ooh La La Couture Flower WOW Pouf dresses as their pink flower girl dresses. Katie selected Stella Industries Starlet dress in ivory for her junior flower girl dresses. Persnickety Clothing pink rosette belt was a perfect accessory to add a splash of pink to stunning Stella Industries dresses. Congratulations to this beautiful couple!!! We couldn't be more happy for them, especially since Katie got married to our long-time family friend Aaron. 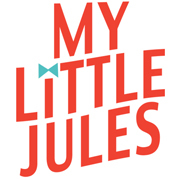 If you are looking for unique flower girl dresses or vintage flower girl dresses, please visit My Little Jules boutique. We are always happy to help!